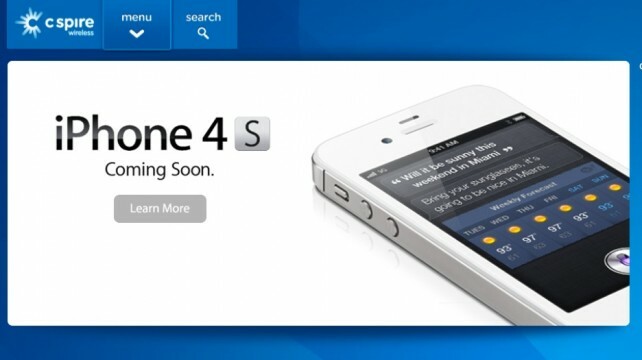 Apple and C Spire announced today that the iPhone 4S will be landing on the small Mississippi-based carrier in November. Formally Cellular South, C Spire will be one of the first carriers Apple will use to expand its reach downmarket to smaller, regional providers. Like most carriers C Spire�s home page is covered with the 4S announcement. If you click through the splash image you are taken to a page where you may sign up for email alerts to be informed when the device becomes available. Now the question on everyone�s mind, �What�carrier�is next?� A valid question that has a few million people excited, just don�t get too pumped up. The iPhone 4S could not be used on Cricket or MetroPCS without new hardware because they use the AWS band. However, others like Virgin Mobile, US Cellular and Boost Mobile are likely to�receive�the groundbreaking device thanks to their GSM/CDMA bands. After record breaking sales on launch day I�m sure there are plenty of carriers wanting to get in on the iPhone 4s�sweepstakes.�Remember�as more news breaks, we�ll have it here for you.